Ultimately it means that Macola is no longer a permanent path for Algorithm. 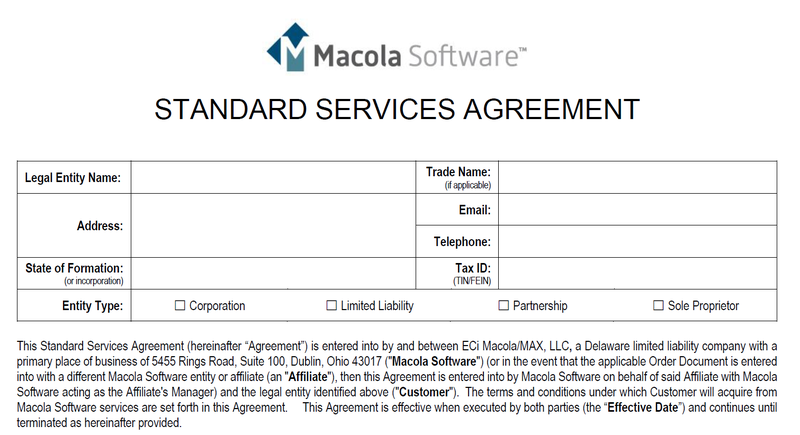 Some of our customers have begun to receive a Standard Services Agreement from ECi/Macola and it has caused some confusion. Should you  receive this form, please call us immediately to discuss before signing. For now, and the immediate future, it means business as usual, helping you make the most of your Macola investment. It also comes down to the third-party community around Macola products. And while there are a handful, let’s focus on WiSys for a moment. There is no timeline for our relationship with WiSys. It is as strong as ever, and no end is in sight. Algorithm has sold more WiSys software in the Macola world than anyone and have used it to do some amazing things for our customers. The same is true for other third-party software products like Avalara, Data Masons, Crystal, etc. For our customers who are happy with Macola and their product direction, or who are so invested in third-party applications that they can’t see making any move to another ERP, we’ll be here for you working through the third-party applications we partner with as well as all versions of Macola. In 2016, realizing that the only way we could add new customers to our family and have a path forward for the next generation of our team, was to find another product to offer. We knew we wanted to stay in the same mid-market range of products, and we vetted them all. Not just their current products, but their roadmap for the future, their go-to-market strategy, and the integrity of their management. And we believed then and do more so now, that it had to be cloud based as part of our digital migration strategy for our customers. We landed on Acumatica and have been blown away ever since. They check all those boxes and so much more. From an amazing 3rd-party community, to a development platform that allows us to do all those cool things to meet customer requirements, to verticals of not only manufacturing and distribution but also field service, retail, e-comm, construction and more, to a vibe that is so fresh you just want to be a part of it. We continue to be smitten. And a bonus – not only does it run on the Amazon cloud, but also private cloud / co-location and even an on-premise version (via browser) for those who still aren’t sure about ‘cloud’. In fact, due to our network services team, led by John Jones, we've been working hard to move our customers to the digital economy centered around Microsoft Office 365. So Algorithm chose to run Acumatica on Microsoft's Azure. Algorithm loves Synergy and has a good bit of Synergy skill. 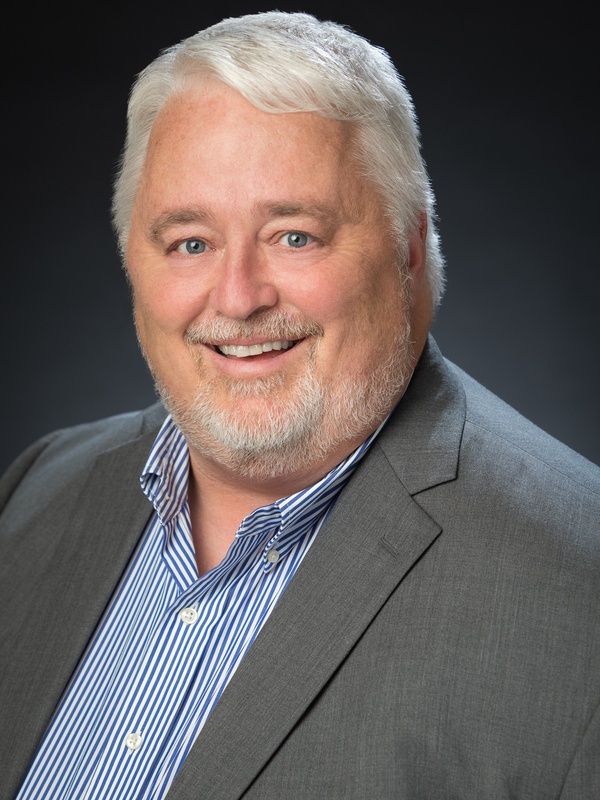 So we have entered into a friendly agreement with one of our best friends in the ECi/Macola ecosystem, Tod Replogle and Exceptional Software Solutions. Of course for now we can continue to work with you on Synergy as part of your Macola installation. But this relationship with ESS gives us access to Synergy directly from Exact, so we’re able to work with you into the future IF you purchase Synergy from us going forward. And as an added bonus, we’ve done some integration with Acumatica to support our own internal systems – we continue today to use Synergy in our business, and we are excited to grow that integration. And with the announcement by Exact and our partner GLM to integrate Synergy to other third-party ERP’s, including Acumatica and SAP B1, we’ll be working with Synergy years into the future. This was a natural move for Acumatica, Exact and many third party products now that there are about 12 former Macola resellers in the Acumatica space. While we were shopping for another product to grow our business, so were our friends at WiSys. And they landed on SAP Business 1. As a platform, SAPB1 was more conducive to the integration requirements of WiSys. We aren’t naïve to think that Acumatica is a fit for everyone, or that you are willing to walk away from your WiSys investment, nor do we want you to. While we can use WiSys to work with Acumatica in many ways, there are some limitations that we are working with them to eliminate. And as we’ve stated, our goal is to hold on to our customer relationships. So we are proud to announce our partnership with Consensus International. We have known Andres and his brother Mauricio Castrillon for almost all of our 25 years, when Andres was in the international office of Macola, predating Exact’s ownership. They are trusted friends and we are excited about the opportunities this will afford us going forward to continue to work with you when SAP is a better fit or moving away from WiSys is not an option. Our agreement with Consensus allows us to remain your partner, consult where we are able, work with WiSys and Synergy, all while backed by one of the most reputable B1 dealers in the world. We worked hard to retain our relationship with you, to continue to partner with you going forward, to continue to hold our staff and our collective 200+ years of Macola experience together to meet your needs. Considering the circumstances, it is the best outcome we could have hoped for. As you look forward, should you wish to remain with Macola or feel you have no choice but to do so, we’re here for you like always. If you wish to remain an Algorithm customer and want to investigate your options, then we hope you’ll see we've positioned ourselves well to partner with you on those new roads. If you are planning to move to a product not in our stable, know that we’ll help you transition to the best of our ability. To provide even more clarity about what Algorithm can and can't do for you in this new arrangement, I’ve written ‘Algorithm's Value Proposition to Macola Users’ and we’ll continue to keep that front and center. Please feel free to reach out to myself or my team for additional clarity. We hope that in this effort you see our continuing loyalty to you and our team.